Summer can be a time of year when many people’s sporting activity eases off a little. 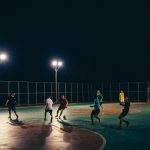 The new football season is still a few weeks away, the school holidays are imminent and, sometimes, organised clubs and sports can take a break for a month or so too. Here at Mitre, we think that everyone should have opportunities to be active all year round, so we have compiled a list of our top products to help people make the most of the good weather (hopefully), whatever you’re up to this summer. Perfect for children of all ages (and some grown-ups too), the Scriball collection is both a colouring toy and a mini football. This makes them an ideal way to keep the kids entertained for a while, perhaps when travelling, but then the Mitre Scriball has a new lease of life as a football for kickabouts outside, tricks and skills practice, foot tennis and more. You can choose from the range of characters or collect them all this summer. A lightweight and portable goal that pops up in an instant and folds away when not in use, this bestselling Mitre goal is perfect for taking away on holidays, camping or trips to the park this summer. It can be used as a normal mini-goal for games, or flip it over and you have a great target practice goal which can be used to improve accuracy and direction if you’re using it solo, or turned into a points game for groups and families. Whatever sport you’re into, you can probably play a version of it with this Mitre multi-sport net. Equally at home in the garden, the park, on a camp-site or on the beach, this net’s height can be adjusted easily. This makes it ideal for tennis, badminton, volleyball, foot tennis, paddle and pickleball, and it packs down into its own carry-bag to make it ultra-convenient to take with you on day trips, holidays or picnics. Created as an essential part of tag rugby games, these versatile Mitre tags can also be used for flag-tag games for children and adults of all ages. Whether you play with a rugby ball or without, the aim of the game for tag wearers is always to evade their pursuer(s) and avoid their tag being taken. Make up your own rules to suit the age and fitness levels of the participants, and enjoy this great way to burn off some energy whilst having fun. An often-overlooked essential when you’re being active, especially in warm weather, is the humble water bottle. Staying hydrated is vital, and taking water breaks at least every 15-20 minutes during exercise is recommended. Mitre water bottles can be bought in a variety of capacities, either individually; or, for groups, large families or team activities, you can buy sets of eight water bottles, with an easy to carry crate or bag to make transportation a breeze. Whatever your plans are for the summer, Mitre has some top quality products to help keep everyone entertained and more active this year.